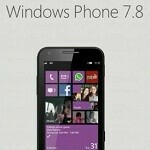 Windows Phone 7.8 update bugs crippling third-party Live Tiles, data consumption issues? Operating System updates pretty much always encounter a bug here or there. From the looks of things, the Windows Phone 7.8 update seems to be keeping true to that paradigm. Just a few days ago we learned that the 7.8 update was causing problems for owners of the Nokia Lumia 800 and the volume controls. The OS update changed the volume settings, so users were finding themselves cranking the value to maximum to get the same level of sound they used to have. Now, it seems that Nokia Lumia 900 owners that updated to Windows Phone 7.8 are encountering problems with Live Tiles of third-party applications. Unfortunately, we do not know how widespread the issue is. One person noted that they were having the same problem on their HTC Radar and while reinstalling the apps did not solve the problem, a hard-reset of the device did. As far as data problems are concerned, it appears that when Live Tiles are trying to grab information to update the tile, the app does not know to stop pinging a nonresponsive server, a feature that Window Phone 7.5 had and served as a data saver. The update apparently does not have that feature, and now the apps continue to attempt to get updates, chewing up data, as much as 1MB per minute. Let us know in the comments if you have been encountering issues with the Windows Phone 7.8 upgrade and also share if you have worked any fixes that are effective while everyone waits for an update to fix the issues. For the Live Tile issue, an immediate fix is to un-pin the app from the home screen and notifying the app’s developer helps as well. As for the rest, tell everyone if you have encountered any update related issues and if you have found any solutions. No noted issues on my unlocked Lumia 900. Yeah I have HTC Radar 4g and had to flash the 7.8 update to it. Now the Htc livetile doesn't work since I adjusted its size. Not a big issue. A hard rest is always recommend after flashing that applies to any os and draining battery just to keep the phone from having issues like the ones mentioned. still no update for WP7.8 for SEA region. now that's a news.